No apps required. Simply visit the BizPAD main site and login on your smart phone, iPad or anything with a browser. Your Account on Mobile Phones & Devices! BizPAD just works. Whether you're at home or on the go. Never be limited to your home office again! 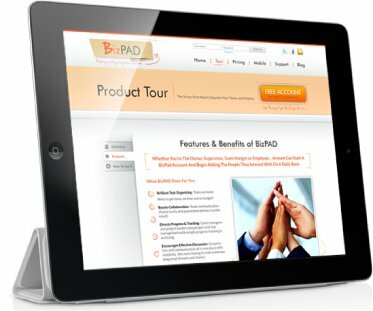 Just visit bizpad.com on ANY device with a browser, and start managing your projects right away. No apps, no mess, no hassle. View Your BizPAD Account From Any Device With An Internet Connection. No Apps Required, Just Login & Go! Your life is busy. Your life is mobile. Your projects should be too! BizPAD gets you in and on with your tasks... no matter where you are! Try BizPAD. Get A Free Account Now! Get started in less than 60 seconds. No credit card, no commitment. BizPAD Going Mobile Gets Rave Reviews." I am very impressed with Bizpad! It is deceptively simple. I run an outsourcing firm. 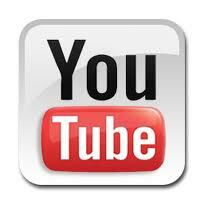 We build hundreds of websites a month. For the past two years we have been using Base camp. At the same price point, it only allowed 35 projects. So all of a clients websites had to be listed under a single project. With Bizpad's unlimited number of projects each web property is its own project. This much easier to manage. I received an email about Bizpad and it looks awesome. It's so funny too because just the other day I was wondering what it would take to create the perfect project management system for internet businesses and why someone hadn't done it yet - then the next day it looks like this one is pretty close! I'll be thoroughly checking it out." Bizpad is very useful in any business venture... be it corporate or home business, they have it all covered. Already left one testimonial but this service deserves another! I feel like a kid that FINALLY got his homework done. You know when you put something off, and you keep putting it off, but when you finally take the time to get it done, you feel so much better. Bizpad has enabled me to organize all my projects, assign tasks for myself and others... it's like that Claritin commerciat when they pull off that hazy view and the tv screen turns crystal clear - Bizpad is my Claritin. Thank you! Very Slick! Great work BizPad Team!